You would like to be informed about Rupprecht Geiger's new arrivals in advance? Register now for free! Rupprecht Geigers artistic work was dominated of the theme color. Geigers ambition to experiment and display color was of primary importance. He was one of the German main representatives of non-objective painting, and described himself as a “self-taught artist”. In 1949 Geiger was a founding member of the artist group ZEN 49 in Munich. This group consisted of seven artists who all dealt with the theme of the abstract art. The artists group existed until 1957. 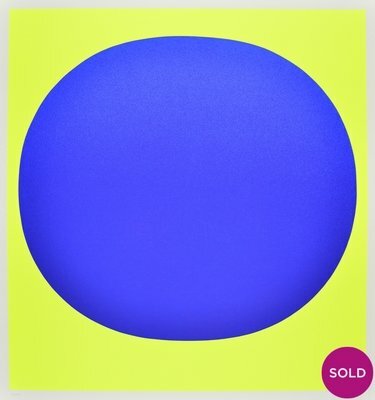 Geiger’s work looked into the effect of color on canvas apart in irregular shape. He reduced the paintings on the essentials and used mostly geometric shapes such as circles and squares. By reducing the pictured to the essentials, the viewer should be able to concentrate on the colors. His first artworks were mainly made with oil. From the mid-1960s on he began to implement his painting with vivid acrylics and spray guns. From the 1970s Geiger focused primarily on the color red. He presented several theories on this color and used for this purpose mostly round shapes. Numerous artworks with elementary forms followed. Red as the color for life, energy, power and strength fascinated Geiger. For him, red was the color of everything. Everyone knew red and red was full of feelings. For Geiger red was the centre of colors. After his time as a professor at Staatliche Kunstakademie in Dusseldorf he even celebrated a “Rotfest”. In his later artworks, the color red was also important. In the 1980s, he expanded his work with several woodworks. One of these works was Methapherzahlen 0-9, which showed abstract wooden objects. In 1999, Geiger became honorary member of Fördervereins Lenbachhaus e. V. München. In addition the Rupprecht Geiger Gesellschaft was founded to promote his works. 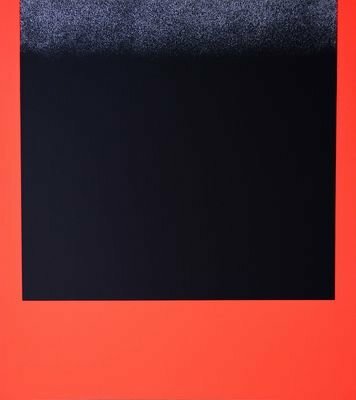 Geiger was involved with his abstract artworks at documenta 2, 3, 4 and 6 and in 2002 he was German representative at XXV. Biennale in São Paolo. Because of his 100th Birthday, the Lenbachhaus in Munich devoted a retrospective to the artist. Even in advanced age, Geiger drove to his studio and put further demands on his art, to expand and intensify it. On December 06, 2009 Geiger died in the age of 101. His former studio is now the Archiv Geiger, where his inheritance is administered. You want to learn more about the artist? Visit Rupprecht Geiger to get more details about the artist's works. You want to buy artworks and editions of Rupprecht Geiger, but you have further questions? We collected detailed information for this purpose.